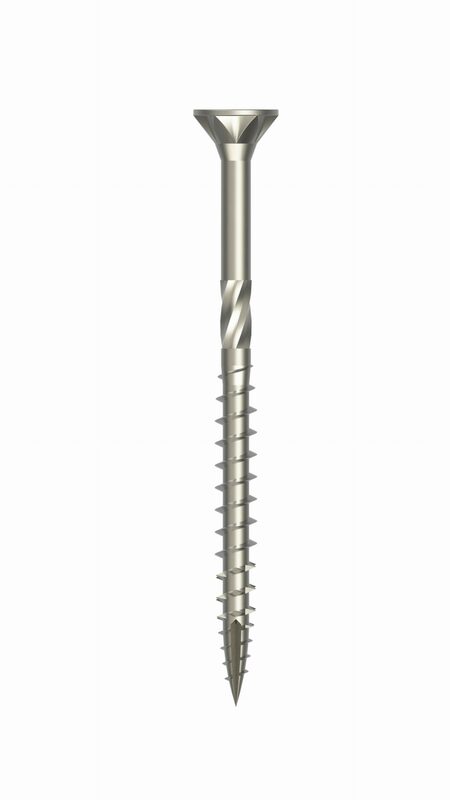 Multi Plus® pozidriv screw are provided with sharp pointed type 17. Therefore it starts quickly and easily eliminating any splitting and prevents damage to furniture hardware. The sharp pointed type 17 starts quickly and easily eliminating any splitting and prevents damage to furniture hardware. Pozidriv recess for better grip. Screws 50mm or longer have u-threads on the shafts that reduce driving torque and have a positive effect in energysaving of power drivers. Lubricated to improve assembly time. Available in sizes from 3×12 up to 6×200 mm in steel zinc plated. Multi Plus®: professional universal screw with unique and revolutionary features which makes assembling easier, faster and at lower costs. Suitable for all types of wood!